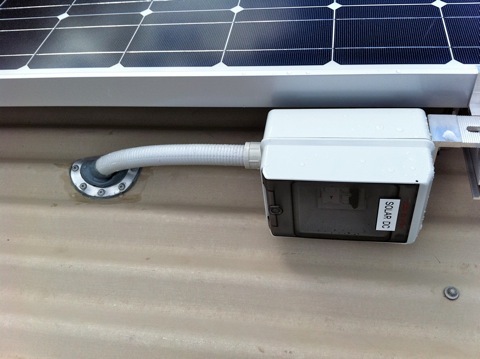 Installation began on 2 November 2010, and was completed within two days. 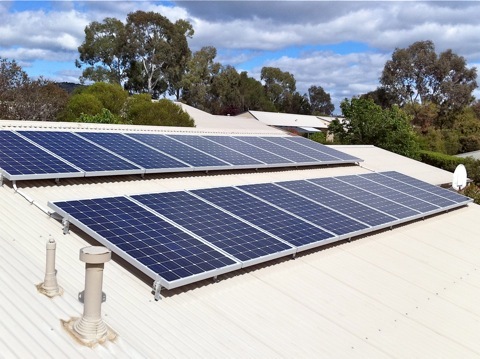 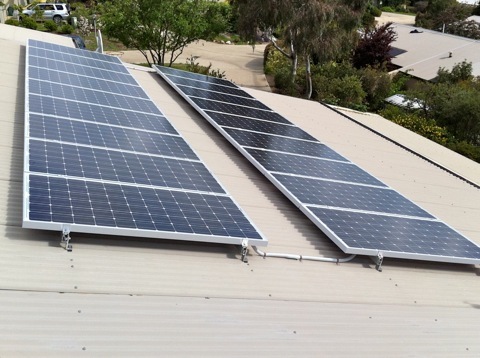 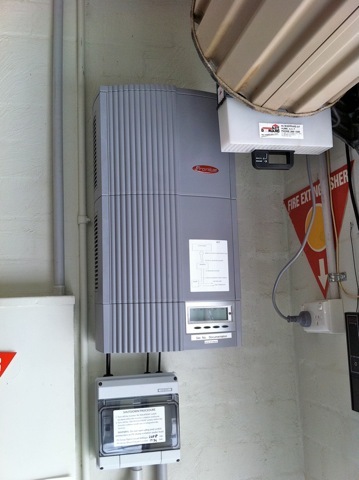 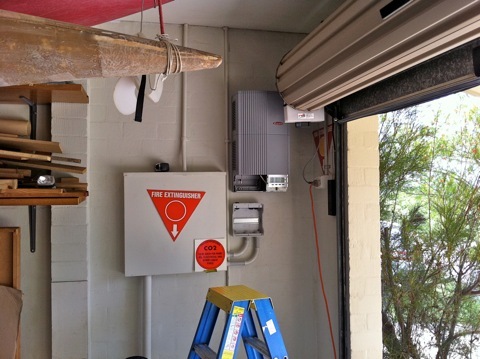 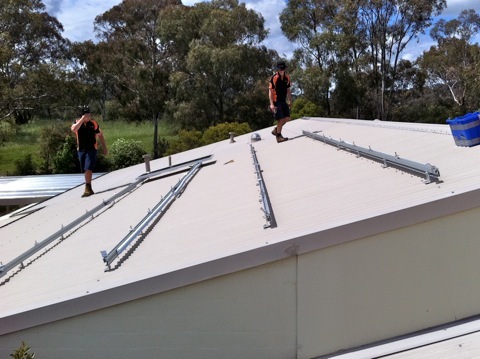 In total, 18 x 190W SolarFun mono panels were installed in two banks on the roof (facing NNE, at 15 degrees inclination), and a Fronius IG40 inverter was installed in the garage. 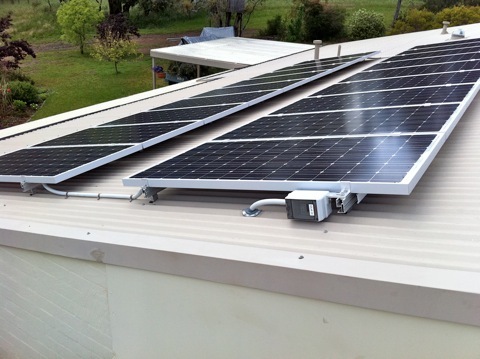 Total power output will be 3.42KW. 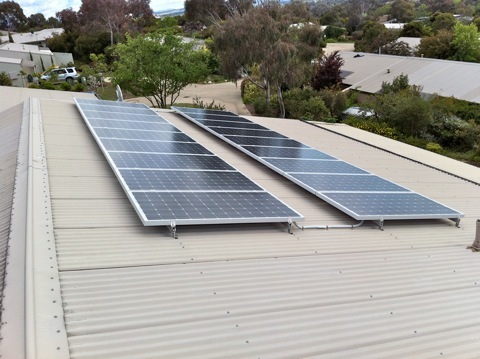 Two neighbours also had concurrent installations: same panels, but different inverters and different number of panels (so the installers had time to move from one house to the other). 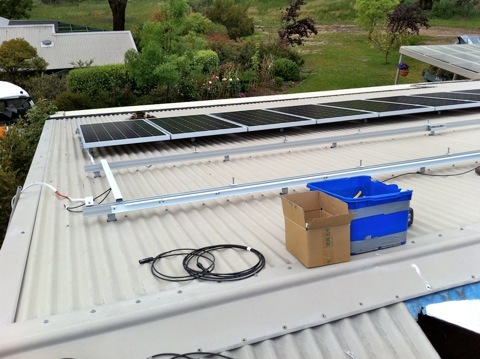 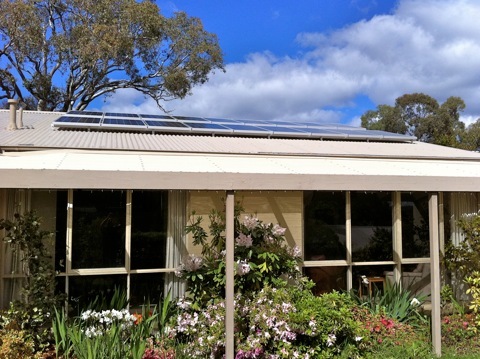 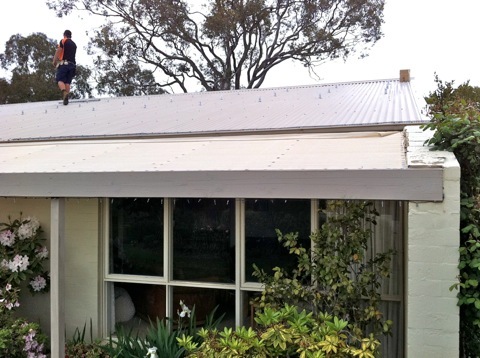 All went well, and both the panels and inverter were placed with minimal fuss and bother. 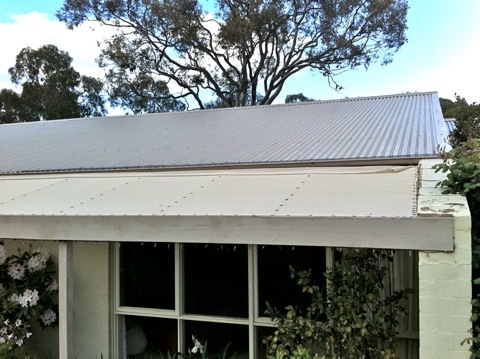 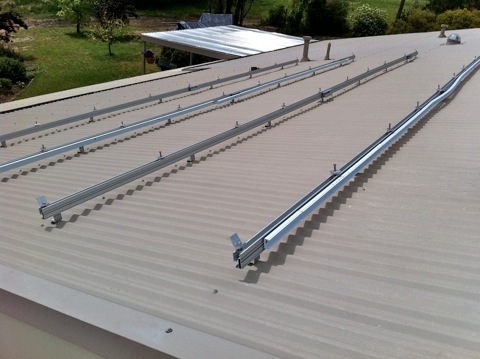 Body corporate regulations demanded that nothing was to be visible above the roof ridge line, but this presented no problems for us (though it did for my neighbours: they ended up with single row installations due to having less roof space).